Survival / "Survival" / "Survival"
If there’s a single lesson to be drawn from Doctor Who, it’s that endings are never just endings. They’re also beginnings. Change comes to all things, usually many times, and the best thing to do is meet the new future head-on. Even if you don’t know what that future is, or whether there even is a future. Geronimo, as the man said. Because of course there’s a future. It’s what you make of it. But you can allow yourself a moment too to look back at what once was. The classic era of Doctor Who finishes here, with 1989’s “Survival,” the fourth serial of the 26th season. But of course, it’s not really true that this is the end. “Survival” barely marks the halfway point of the history of Doctor Who. Instead of an end, there was a regeneration of sorts, and instead of only traveling through time and space, the TARDIS jumped across media too, leaving television for 15 years (with one significant exception) in favor of novels and audio plays before landing a new home back on the BBC in 2005. And “Survival” is only accidentally a series finale anyway. It wasn’t until very late into production that the showrunners learned that the series, which had been teetering precariously on the edge of cancellation for several years, would be given its final push overboard by the BBC. They were hoping the scythe wouldn’t fall, and were in fact planning for season 27. Other than one final speech in which the Doctor declares that his travels and his work will still go on, “Survival” was never meant to be the final story of Classic-era Doctor Who, and it doesn’t quite do the story justice to think of it that way. Still, intentionally or not, there’s a genuinely elegiac feeling to “Survival,” especially in the first episode, that fits well with its particular place in the series. And there’s a nice parallel between “Survival” and the very first episode, “An Unearthly Child”: In 1963, the Doctor kidnaps two ordinary people and wrenches them away from their normal lives to wander through time and space—Ian and Barbara, the first companions we see join the Doctor on his travels. And in 1989, the Doctor takes his latest companion Ace, an ordinary if rebellious teenager he’d rescued from an alien planet, and brings her home to what had been her normal life on Earth, in the drab English suburb of Perivale. Unlike Ian and Barbara, she doesn’t choose to stay home when given the chance, but keeps traveling with the Doctor—and so the series comes full circle. The journey into the unknown at first seems to promise nothing but monsters, terror and danger, but after everything Ace has seen, and everything we’ve seen for the quarter-century before her, it promises so much more. New sights. New worlds. A new life. And sometimes monsters, terror and danger too, but that’s what we signed up for, isn’t it? This particular trip is a little different, though, at least for Ace. After hopping around the universe with the Doctor for two seasons, Ace has asked to come home to Perivale to see her old friends—she’s feeling nostalgic for her childhood after the events of the last two stories, “Ghost Light” and “The Curse Of Fenric.” And she’s about to learn that the past is out of reach even for a time traveler, because things change, and people grow older and move on. The coffeehouse where Ace hung out with her punk-rock friends has been replaced with a gym where thuggish jocks learn self-defense training from a wannabe drill instructor, Paterson, who seems to mean well but thinks that bullying and hectoring is the way to handle troubled kids like Ace. Her friends, too, are almost all gone—seemingly vanished off the face of the Earth into marriage and grown-up jobs and all the things that take you away from the days of your youth. Perivale, as the Specials said, is coming like a ghost town. This being Doctor Who, of course, some of those kids really have vanished off the face of the Earth, kidnapped by carnivorous cat-people called Cheetahs under the nominal control of the Doctor’s personal Snidely Whiplash, the Master. One of them even literally chases Ace off of the swings at the local playground equipment, just in case you’d missed that the first episode is largely a horror-story metaphor about incipient adulthood. The metaphor changes in the latter part of “Survival” to something more primal—the thin line between savagery and civilization, and the uncomfortable fact that deep down, underneath the layers of our evolved humanity, we’re all animals who have to kill to survive. At least some of the Cheetahs, it turns out, were once human. Some (badly explained) effect of their planet transforms people into the beastlike Cheetahs, grabbing hold more firmly the longer you stay, and the more you embrace your own inner killer. It’s already snared the Master, which is typical—he really needs to tattoo the phrase “YOUR EVIL PLAN WILL BACKFIRE ON YOU” onto his arm like the guy in Memento. In fact, he’s holding on to his civilized self only by intense concentration (which, incidentally, helps Anthony Ainley give one of his best, most chillingly controlled peformances, with little of his tendency to ham it up). His typical plan is something like a) ally with alien monsters, b) take over the world, c) kill the Doctor. This time that inevitable moment when he realizes he’s in way over his head actually happens before the episode begins, and he leapfrogs ahead to d) admit to the Doctor that everything’s out of control and ask him to find a way out of this mess for eveybody’s sake. And the plan the Doctor comes up with is breathtakingly manipulative even for the notably tricky Number Seven: Since only Cheetahs can teleport between their world and Earth, he needs a Cheetah. How do you get one? You encourage Ace to become one, and don’t tell her the inconvenient fact that once she lets herself go savage, she might never come back. In the end, he tells her she’ll always feel the pull of the Cheetahs’ hunting instincts from now on—a little unnerving considering how all the other cat-infected people essentially became serial killers. McCoy’s is simultaneously one of the darkest and most self-consciously silly versions of the Time Lord. Most incarnations of the Doctor have a streak of roguishness and ruthlessness, but the Seventh carried this trait farther than ever before: Under his clownishness there was a more or less constant sense of long-range scheming, that he always had some plan in mind that he wasn’t telling you about, and there was a real sense that he might even let his own friends die if he thought it was necessary. At the same time, Seven was more inclined than any previous Doctor to play the eccentric fool—take his quixotic quest in the first episode of “Survival” to lure and trap neighborhood stray cats, which I think all the previous Doctors except Patrick Troughton’s would have treated as beneath their dignity. 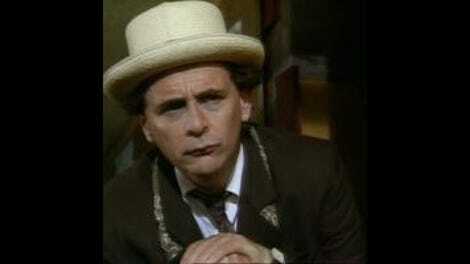 Yes, the Seventh Doctor era had some chronic problems, which I’ve dealt with at length in some of my previous reviews. But I think in many ways, this era is the one that most strongly influenced the modern series. And it rested largely on how it approached the relationships and foundations of the show’s central protagonists, the Doctor and the companion—specifically Ace, but also how the role of the companion worked in a larger sense. Without moving away from all the weird monsters and alien landscapes that typify Doctor Who, it tried to consciously ground itself in recognizable, even mundane reality. And Ace was an important part of that. More than most companions, her character has real depth. Cartoonish as it is for her to carry a backpack full of explosives everywhere, Ace is also a very modern kind of TV character, with her deep-seated personal problems, teenage angst and disaffection which she works through during her time on the series. Moreso than any other Classic-era companion, the stories during Ace’s time on the series are largely about Ace, what she learns and how she grows during her time with the Doctor. That’s not true of, say, Sarah Jane Smith or Jamie McCrimmon, which is not a criticism of those characters but an acknowledgment that the way series television dealt with its recurring characters began to change dramatically after the 1960s and 1970s. And nowadays, of course, the companion’s story is always a central focus of modern Doctor Who. Probably the most frustrating thing about “Survival” is the bobbled way it explains how the Doctor actually saves the day. It makes sense that the Doctor would discover that the key to resisting the Cheetah’s call of the wild was through resisting the urge towards violence, it’s not at all clear how or why simply shouting “If we fight like animals, we’ll die like animals!” was supposed to work. Although great care is taken in establishing how impossible it is to escape the Cheetah influence once it’s taken root in you, and thus to be able to leave the Cheetahs’ world permanently, the Doctor is able to do it simply for the perfunctory, unsatisfying reason that there’s only a couple minutes left and it’s time for him to defeat the Master and leave. The story doesn’t have an ending so much as it just stops. Which is kind of appropriate, I guess, since that’s also what happened to Doctor Who itself in 1989. But if the series was doomed to be cast out to wander the great void beyond television, “Survival” was at least an ending you could be proud of—a pretty decent place from which to make that leap into tomorrow. • Originally broadcast Nov. 22-Dec. 6, 1989. There are worlds out there where the sky is burning, where the sea’s asleep, and the rivers dream. People made of smoke, and cities made of song. Somewhere there’s danger, somewhere there’s injustice, and somewhere else the tea’s getting cold. Come on, Ace, we’ve got work to do! • The original title for “Survival” was “Cat Flap.” I’m glad they changed it—that’s way too jokey a title for something this dark. • Ace asks the Doctor: “How long since I was here [in Perivale]?” And he replies: “You’ve been away as long as you think you have.” An interesting turn of phrase, that. He’s probably suggesting that her subjective experience traveling far from her childhood home will change how she perceives it, like T.S. Eliot said. But he might mean it literally too—does time really pass for you while you’re traveling in the TARDIS, that magic cabinet? • Jumping forward to the upcoming Peter Capaldi season: Ever since hearing that Game of Thrones’ Maisie Williams was going to be a guest star playing someone mysterious with an old connection to the Doctor, I had a suspicion who that character might be. After all, Williams’ most well-known role is a troubled girl with serious abandonment issues, forced to make her own way in the world when she loses her father. Capaldi, meanwhile, is the most Hartnellian Doctor of the modern series. So now that we’ve seen Williams shocking Capaldi with the line “What took you so long, old man?” in the new trailer, I’m going out on a limb and calling it: I think she’s a new regeneration of the Doctor’s granddaughter Susan, who the Doctor abandoned in 1965’s “The Dalek Invasion Of Earth” by locking her out of the TARDIS on a planet devastated by nuclear war and decades of Dalek occupation. I hope I’m right. A proper Doctor-Susan reunion, and not just the nostalgic get-together of “The Five Doctors,” could be a fantastic Doctor Who episode, and a loose end that I’ve always wanted to see picked back up again. • This is my final Doctor Who Classic review, at least for now. 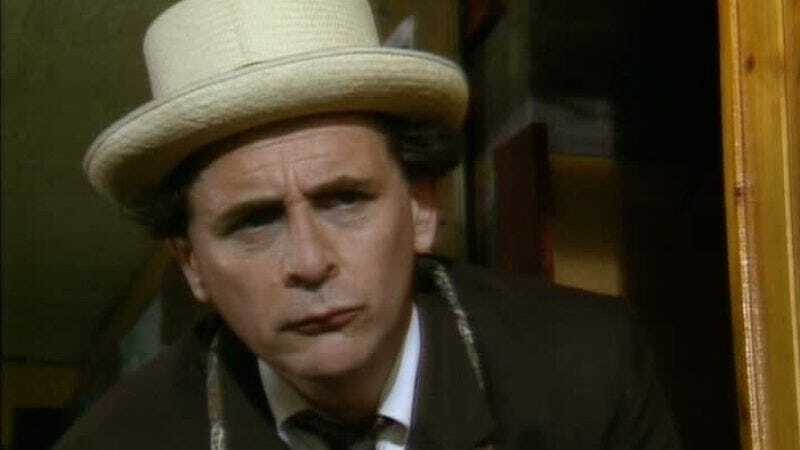 Though I’m only barely halfway through covering everything from the 1963-1989 period that is my bailiwick, I feel like it’s time to take a break from Doctor Who, at least as a writer if not a fan. Not permanently, I think; I have an idea for a book that’s been kicking around in my head for a while now, and plan to pursue when there’s time. It’s been a lot of fun. Thanks to all of you for reading, especially those of you who regularly pop up in the comments section. I’d like to also thank the folks at the A.V. Club for giving me the space and the freedom to ramble on about a 50-year-old series for such a long time. You can follow me on Twitter at @chrisbahn. Cheers. Doctor Who: "The Christmas Invasion"